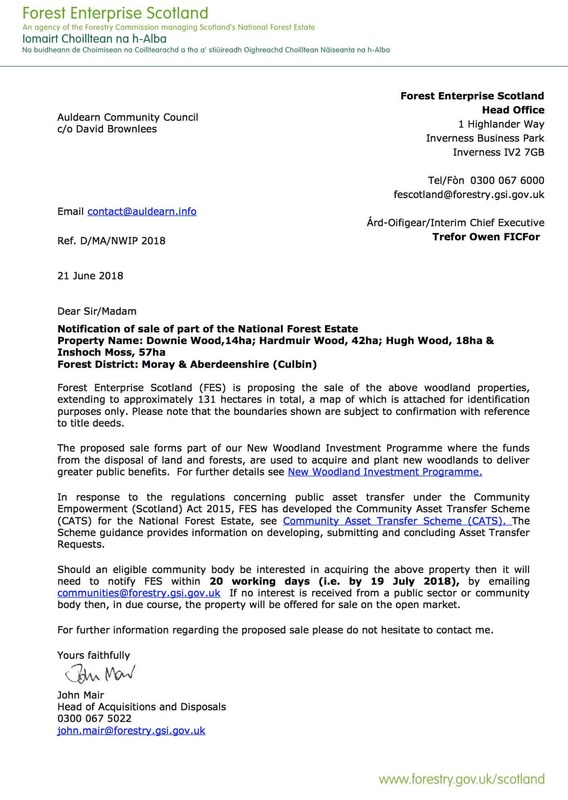 A letter has been received advising of Forest Enterprise’s intention to sell four areas of woodland in the area, two of which fall within the boundaries of Auldearn Community Council. 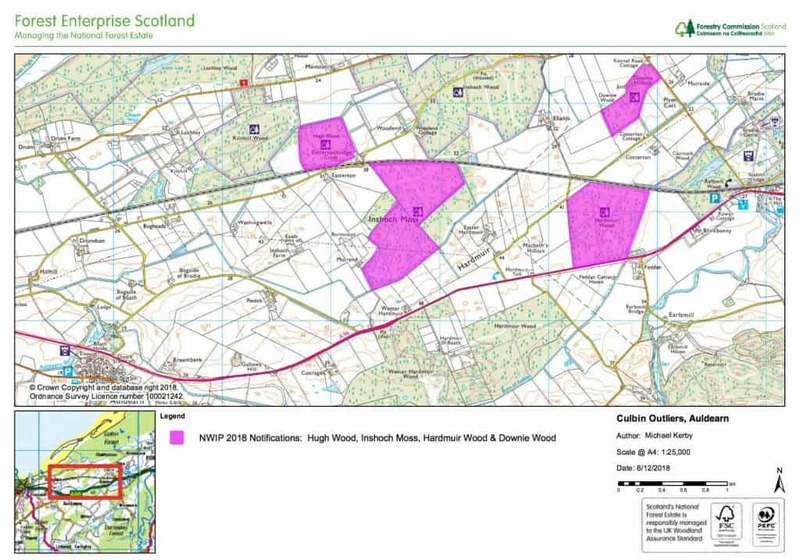 The two areas of woodland with our boundaries are High Wood and Inshoch Moss. The matter will be discussed at the Community Council AGM on Thursday 18th June, 7.30 pm , Dunbar Hall, High Street , Auldearn .